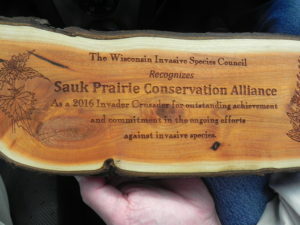 In a public ceremony at Horicon Marsh Visitor Center on June 9th, the Alliance was awarded the “Invader Crusader” Award from the Wisconsin Invasive Species Council as one of three volunteer groups recognized in Wisconsin for its efforts to control invasive species. 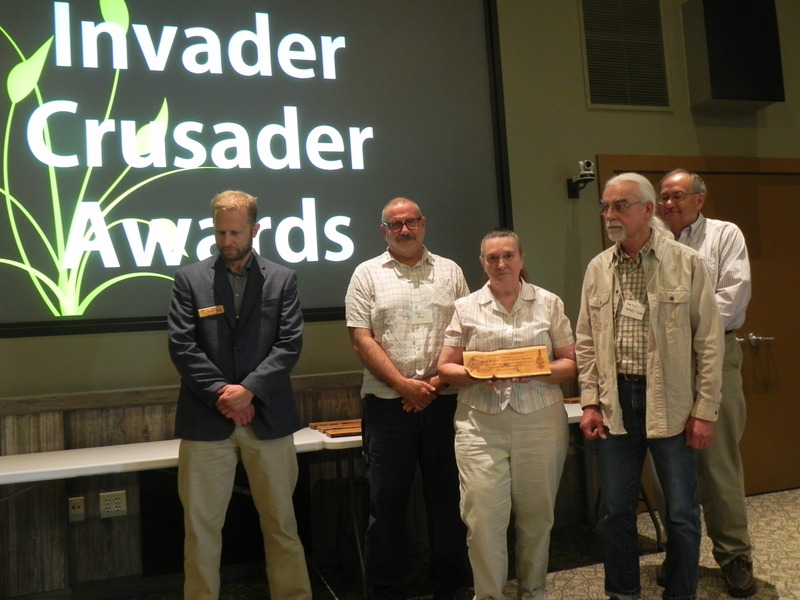 Three of the Alliance’s volunteers were present to receive the award– Tom Pier, Donna Stehling and David Serafy-Cox– flanked on the left by Drew Feldkirchner, DNR Bureau Director of Natural Heritage Conservation, and on the right by Paul Schumacher, Chairman of the Wisconsin Invasive Species Council. 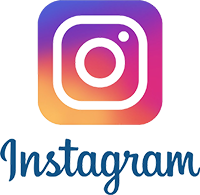 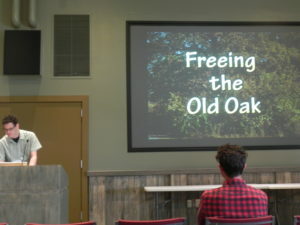 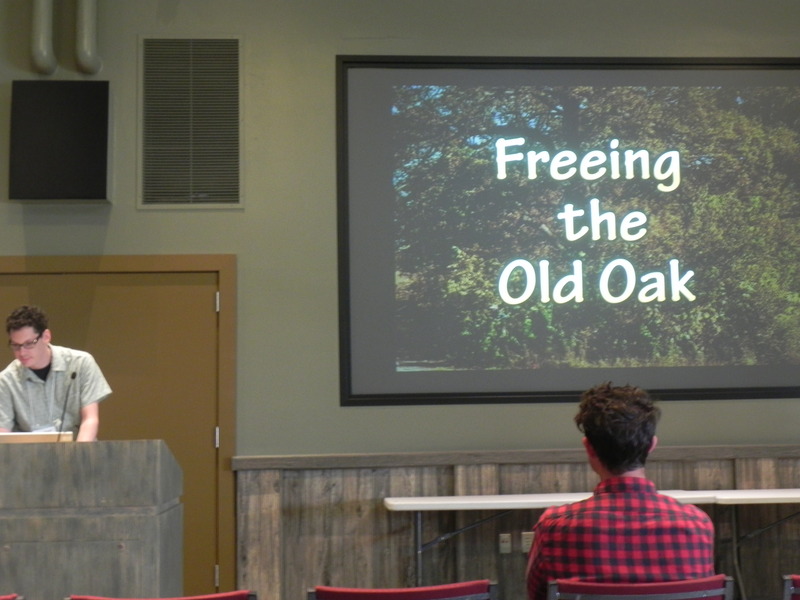 During the Award Ceremony, the top three invasive species videos of 22 submitted were shown to the audience–and the Alliance’s “Freeing the Old Oak” video won second place statewide. The event was for our volunteers a “two-fer.” Congratulations, volunteers, and THANK YOU for your many years of dedicated service to removing invasive species at Badger!